Building an ad campaign on AdWords is just the first step in an ongoing process of reaching your goals, measuring how well you do this is key to success! Conversion rate is the defining factor of how successful your campaign is, and it reflects on your overall ad performance. Just in case you’re not familiar with the term; conversion rate is the rate in which your visitors either make a purchase, place a call, or subscribe, depending what you define as a conversion. The estimated average conversion rate for most accounts is usually around 2.5% , the top end has a rate of over 5% and the low end is sometimes even lower than 1%. Surprisingly enough, many advertisers are not even aware of their conversion rate or how to even measure it properly. I’m going to lay down the main focus areas when it comes to tracking and improving your overall conversion rate, hence your performance. 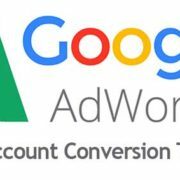 Nearly half of AdWords accounts don’t set up any kind of conversion tracking, whoever is managing these accounts has no way of telling if their ads are performing well or not and are pretty much flying blind. Once you set up conversion tracking you’ll be able to measure the performance of your campaigns down to the keyword level. This way you’ll be able to pin point what’s working and what’s not working; double down on opportunities and ease down on anything that isn’t performing well enough. 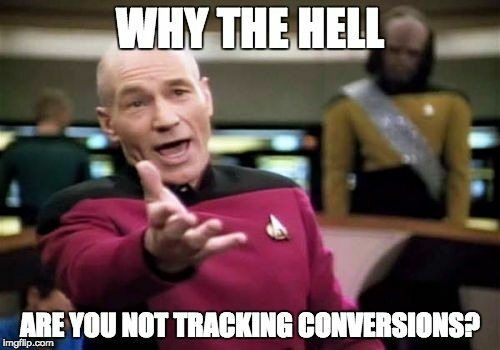 Depending on your vertical, you’ll have a different type of conversion you’ll want to track; if you sell retail products through an online store, most likely you would want to track conversions of any purchases made. If you’re offering a software, you might want to define a conversion for anyone scheduling a demo, etc. 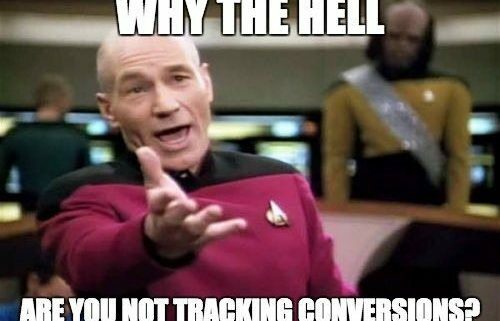 While not every conversion necessarily attributes to more revenue, tracking these conversions gives you a good sense of where your users are engaging and which parts of your funnel can be improved. Quality score can be an important factor in reaching a higher conversion rate. High QS means your average cpc is lower and that in turn also also gives you more exposure for the same budget. A higher quality score will also indicate how well the user experience is. The more these factors are improved, the higher your QS and the more traffic you’ll receive which also means more conversions. In general, the system is designed to reward advertisers that pay attention to details and push towards improving the overall user experience. Getting users to your landing page is just the very first step in your funnel, if your landing page isn’t designed well enough or is simply not clear enough, you’ll see a high bounce rate and lower conversion rate. Always aim to get your landing pages to be as appealing, relevant and easy to navigate as possible. Every detail on your landing page can make the difference between a user converting to leaving and never coming back. Even elements such as the color of a button or fonts you use can have an impact on your performance. It’s always good practice to run A/B tests on your landing pages to measure which version is performing better. This is a process that should be done over and over again until you feel you reached your limit. I always use both analytics to see the flow of my users and additional tools such as heat maps to see how my users actually behave on my landing pages. I also have multiple landing pages that are tailored to deliver the same message my ad copy initially delivered and this is something I highly recommend if you’re aiming to become a ppc expert. You want the user the find exactly what they were looking for, if you’re offering pizza on your ad, but your landing page is to your deserts menu you’ll only confuse your users. You also don’t want to be vague, be very clear in your ad copy on what you’re offering and it should match what you actually offer on your landing page as well. All these methods will ensure a higher QS as mentioned earlier and of course a higher conversion rate due to a much better user experience. If you speak the language your users understand and want to hear, you’ve got their attention. Pay attention to your landing page design using a color theme that is appealing, images and even videos that can improve the overall experience. Leading the users to perform an action is our end goal on any landing page. This CTA can be a button, a form or even a phone number. Where you place it and how you present it will affect how often users take action. Bad user experience is when your landing page loads slowly, something on your form isn’t working smoothly, etc. Make sure everything is working properly for all your users otherwise you’ll just lose them. Today we know that a great majority of the traffic comes from mobile devices, and therefor being optimized to have an appealing landing page for multiple devices is a must. Keep in mind, that while for desktop users, there is space to display more content, for mobile users you might want to keep things shorter for a better experience. I normally break my ad groups and campaigns based on keyword match types. Ad groups that contain exact match keywords are aimed at a very specific user and usually the conversion rate on these much higher than other match types. I personally don’t like using broad match at all, I believe it’s too… broad 🙂 . Broad match brings a ton of irrelevant traffic and usually just ends up wasting a lot of your budget. I do however love using broad match modifier, this ensures only relevant queries I couldn’t think of myself would still trigger my ads. In general, it’s still a good idea to try a few match types and collect some data and search terms to see how you can both improve your keywords and expand your negative keywords as well. Your conversion rate is an extremely important factor when it comes to measuring your account effectiveness and performance. The higher your conversion rate the better the chances of hitting your goals and increasing your revenue.